On April 28, 2018, Consul General Hong Lei attended the 17th Annual Gala of the Asian Pacific American Chamber of Commerce (APACC) in Detroit. Lt. Governor Brian Calley, as well as over 600 people from all walks of life in Michigan attended the event. Consul General Hong Lei congratulated Grace Lee, Chair of the Board of Directors of APACC, on the successful convening of the gala. He commended the unremitting efforts made by APACC in facilitating business development for the overseas residents of Asian and Pacific islanders. Consul General Hong Lei said that the theme of the gala “one world, one voice” reflects the common interests and wishes of the people of both China, America and the world. He wishes that APACC could continue to make full use of its advantages, seize the opportunities brought by China’s development, actively promote trade and economic cooperation between China and America, and contribute to the healthy and stable development of bilateral relationship. Consul General Hong Lei also welcomed members of the Chamber to attend the International Import Expo to be held in November in Shanghai, China. While talking with Lt. 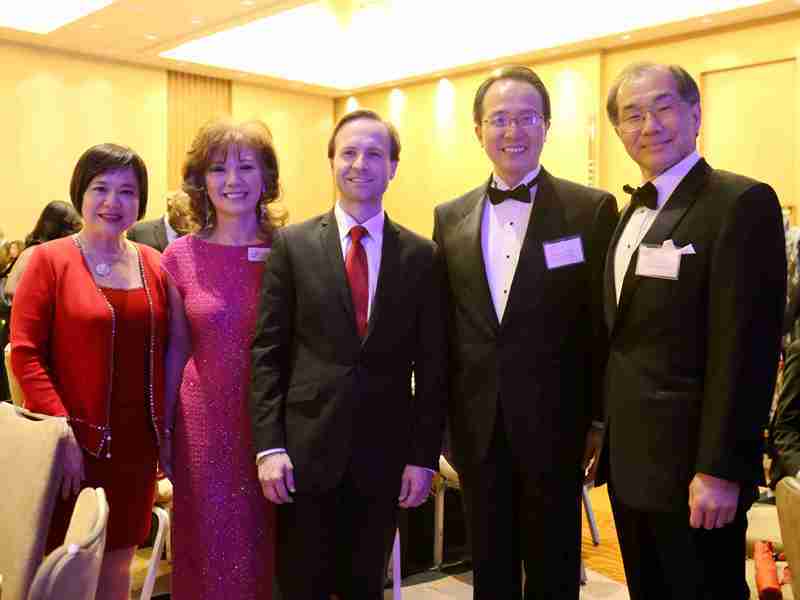 Governor Calley, Consul General said that China and Michigan have maintained sound cooperation momentum, especially thanks to Governor Snyder’s unremitting efforts to cooperate with China since he took office. China and Michigan have been cooperating increasingly closer in trade, investment, and people-to-people exchanges and achieved positive results. In the beginning of May, the Michigan Government will hold “China week” in Detroit, Ann Arbor and Grand Rapids in a way to inject new momentum to bilateral relations. We would like to work with people of all walks of life in Michigan to explore the potential for cooperation and exchanges between the two sides, and facilitate the healthy and stable development of bilateral relations. Lt. Governor Calley said that the Michigan Government has been attaching great importance to its relations with China. Since taking office, Governor Snyder has led delegations to visit China seven times, laying a sound foundation for closer cooperation between the two sides. Michigan has established sister-state-province relations with Guangdong Province, Sichuan Province, Zhejiang Province, Hubei Province and Chongqing Municipality. The China Week will certainly create better opportunities for further cooperation between Michigan and China. He believes that with joint efforts from both sides, the China Week will be a great success and bring tangible benefits to Michigan enterprises and people.